A teenage boy with something to prove gets caught up in a web of crime and deceit in England, 1945. 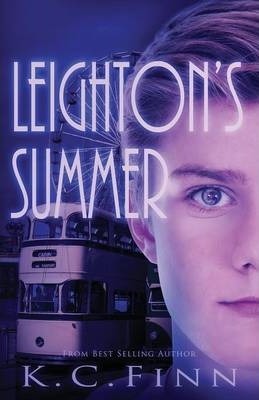 In the weeks leading up to his sixteenth birthday, gifted psychic Leighton Cavendish finds himself suddenly packed off to Blackpool, a glittering, teenage paradise filled with plenty of opportunities for amusement-and trouble. With only a preoccupied grandmother to keep an eye on him, Leighton's desperation for adventure leads him out into a world of holidaymakers, candy, and carnival rides-the ideal place to spend six weeks away from home. But Leighton's psychic visions are encroaching on his fun, trying to warn him of the danger that lurks beyond the shimmering lights of the Golden Mile. Who are the mysterious thieves Leighton sees in his head, and what do they want with the children they seek? A girl called Faye holds the answer, but she has enough problems of her own. Amid the climate of a tourist town recovering from the impact of the Second World War, two lost teenagers will discover a shocking truth about human greed. Together, they will try to fight against it. For Leighton and Faye, this will be a summer to remember-one filled with challenges that must be overcome. A summer that turns a boy into a man. Born in South Wales to Raymond and Jennifer Finn, Kimberley Charlotte Elisabeth Finn (known to readers as K.C., otherwise it'd be too much of a mouthful) was one of those corny little kids who always wanted to be a writer. She was also incredibly stubborn, and so has finally achieved that dream in 2013 with the release of her first three novellas in the four-part Caecilius Rex saga, the time travel adventure The Secret Star and her new urban fantasy epic The Book Of Shade. K.C. Finn has also recently been welcomed into the fold at Clean Teen Publishing as a debut Young Adult author for 2014, beginning her run of publications with the paranormal/historical series SYNSK. As a sufferer with the medical condition M.E./C.F.S., Kim works part time as a private tutor and a teacher of creative writing, devoting the remainder of her time to writing novels and studying for an MA in Education and Linguistics.